"Al was my stepdad, who was a wonderful man and a great cook! One of his specialties was his Bloody Mary, and no matter how many pitchers he prepared for company, they always wanted more. My only modification has been to add a bit of horseradish. This is a great brunch beverage, but various friends always ask if I'll please make 'Al's Bloodys' when they come for dinner." 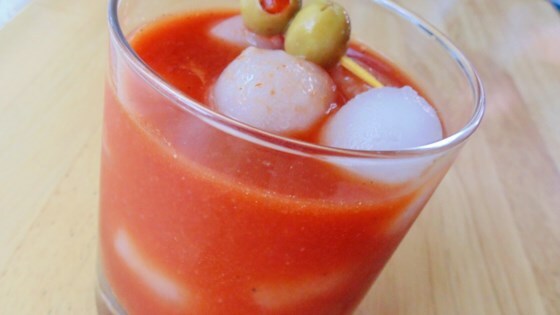 Combine vodka, tomato juice, tomato and clam juice, lemon juice, lime juice, Worcestershire sauce, horseradish, black pepper, pepper sauce, and celery salt in a large pitcher. Add ice and pour cocktail into glasses; serve each with a lime wedge. How many this serves depends on how large a glass you use. You can serve the horseradish on the side rather than in the drink.